Before making his way to Colorado earlier in the 2017 season, defenseman Mark Barberio was struggling to make his mark in Montreal, as he bounced from waiver to waiver to the AHL. Now, after being picked up by the Avalanche midway through the season, he’s finding new life in his professional career as he’s moved into a key defensive role for his new team. In league-leading Montreal, Barberio was considered more or less expendable in comparison to the high-intensity defense of the Canadiens, and mostly only saw action on their ice when one of the main players got injured. 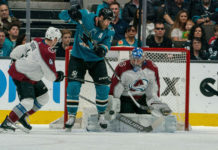 Since the Avalanche claimed him off of waivers from the Habs on Feb. 2, he’s integrated himself into a major role in its defense and aligned himself with the likes of Erik Johnson, who’s undoubtedly led the Avs on the defensive end when he can stay healthy. 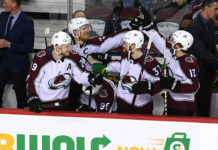 With Johnson and the trust of his coaches and teammates behind him, Barberio has enjoyed significant ice time and seen an increase in his confidence and in-game decisions since his move to the Mile High City. That, he said, has made the greatest difference in how he’s approached the game. While appearing in all 34 games since the start of February, Barberio has seen success on both sides of the ice as he’s played a key role in many a defensive stop and has added nine points to his name, including two goals. He’s finally getting his chance at maintaining a consistent roster spot in the pros, something that’s evaded him throughout the last few years of his career. 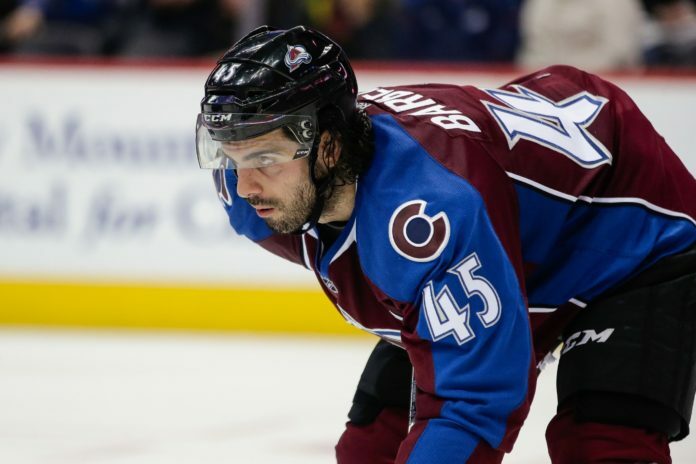 With the expansion draft around the corner and uncertainty facing him once again, Barberio said he’s not putting too much stock in the possibility of another major change in his professional career or trading in his Avalanche uni for that of the Vegas Golden Knights. Instead, he said he’s focusing his efforts into making he and his teammates better in preparation for next season.